With so many scams and bad press about timeshare, it is important to know which timeshare company you are dealing with, and it is prudent to do some research before heading to a presentation or accepting a free gift. The Villa Group Timeshare is renowned for being amongst Mexico’s most trustworthy companies, having been successfully operating for over 28 years and boasting an excellent reputation. As a rule, the larger long standing companies always come highly recommended over smaller emergent operators, avoiding the potential for fraud and unnecessary scams. 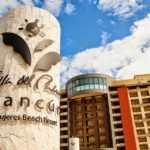 With regards to the way that The Villa Group deals with potential timeshare clients, in recent years there has been a notable turnaround in the company’s sales’ techniques, focusing more on allowing their exceptional product to sell itself – which indeed it does. In fact, the company has very strict policies for how sellers approach their clients in an active bid to clean up timeshare’s unnecessarily negative reputation. Apart from selling first class accommodations in Mexico’s top vacation destinations such as Cancun, Puerto Vallarta and Cabo San Lucas, buying a timeshare with The Villa Group Timeshare has many other advantages. Timeshare owners benefit from The Villa Group’s expertise in the field, enjoying excellent, over-sized accommodations and superb resorts that offer the very best in spa, gym and other services. You can also be sure that your investment is secure; The Villa Group Timeshare has remained strong through the thick and thin of the recent economic climate precisely because it knows how to build products that everyone wants to be part of. Share the post "The Lowdown on The Villa Group Timeshare"